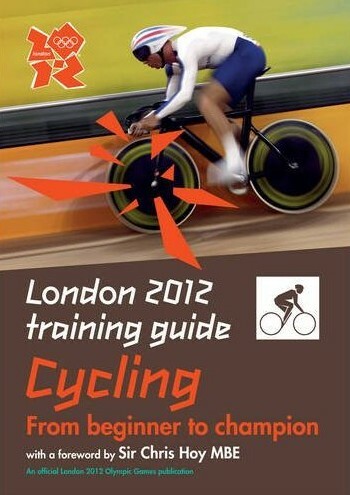 Now this is interesting – I spotted on Amazon these London 2012 Olympic Games training guides, which are coming out at the beginning of March. There are four – Track , Field , Cycling and Swimming . I’m not sure quite who they are aimed at – not the pros I presume, but are they trying to cater for both complete beginners and club-level athletes (the blurb suggests so.) I’m also not sure about all the other Olympic sports that don’t fit into the four categories, e.g. Rowing and Sailing. I think we are quite good at those! There’s also an “The Official Countdown to the London 2012 Games ” which is launching at the same time. Could be interesting. 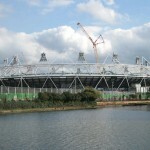 The London 2012 “brand” (i.e. jagged lines) is starting to grow on me, it has to be said. No circles in sight! I have become quite a fan of the brand as a whole, having seen it used in a variety of different contexts it is extremely versatile. The logo has grown on me too, it works better in conjunction with the rest of the branding rather than as a stand alone element.